Discussion in 'Marketplace' started by Catan, Sep 20, 2016.
exINV is a general purpose, grid based (minecraft style), inventory system that will help you keep your item management clean and efficient. The system provides a set of scripts to create an item database, manage multiple inventories, and provides user interface implementation on top of that, handling the logic and user interaction, including a crafting system and equipment selection. Changed tags management so that the items tags ds_map is never exposed directly, making it less error prone. Important! Due to this change, ex_item_get_tags returns a copy of the tags ds_map, so you should remember to destroy it when finished! GMS2 only update. As of exINV version 1.5, the GMS1 version of this asset is to be considered legacy, and will not be updated except for bug fixing (see release post for details). I'll make sure to keep version 1.4 available for GMS1 as well as its documentation and support. Refactored most of the scripts with a better name and namespace. Scripts are now divided into 4 main groups: database, inventory, items, and tags. Added ex_inv_resize to change the number of slots in real time. Scripts adding, removing or changing inventory items now accept a slot as an optional argument. Slot specific functions have therefore been removed. Add: ex_inv_item_set_unique, allows items to have unique attributes. Please note that due to this change previous inventories saved using ex_inv_write will no longer work with this version ex_inv_read. Pizuar, SnotWaffle Studios, sitebender and 3 others like this. Hi. One quick thing I have noted on your documentation webpage is that the [Example] button only is working correctly with ex_db_load(file1,file2,...), whilst the other [Example] buttons do not show the black bg/white text colour correctly. Probably missing some HTML tag in there somewhere. @Director_X , true, it was due to an outdated version of jquery, should be fixed now. Thanks. Nope. Nothing is working now. (Unless it takes time for the server to update). When I click any [Example] - it just jumps back to top of the page! Edit: Working now: Needed jquery scripts enabled! For those using exINV on the GM:S stable channel at version 1.4.1757 , please update the asset, as that specific version introduces a bug that causes some features not to work properly. See open post for other notable changes in this version. I also realize that the biggest shortcoming in this system is the lack of a way to save the inventory data. I'm working on this and I'll release soon an update that takes this very important aspect into consideration. Thanks for the patience. Released version 1.1.3, adding functions ex_inv_read and ex_inv_write, with ability to load / save inventories from and to string, allowing for easy inventory saving systems. I'm currently working on a method to make items unique. This will allow specific items to get unique properties with respect to its database attributes, and prevent stacking with other items. I apologize for the frequent updates in a short timespan, but I'm trying to cover as much feedback as possible about important features, in order to get this asset into a stable and fully usable state. New version uploaded to the marketplace! This version adds the possibility to flag items as unique. 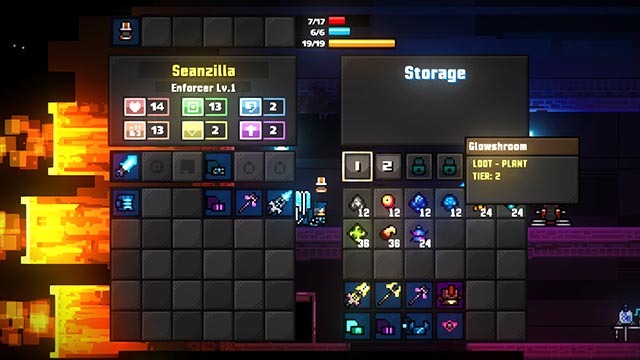 Unique items will no longer stack with non-unique items of the same type or other unique items having different keys, but more importantly, they can have customized attributes with respect to their base items. Those attributes can also be changed on the fly. See the documentation for more info on this feature. Please note that due to this change previous inventories saved using ex_inv_write will no longer work with this version of ex_inv_read. With this update all the base features I planned to implement on this asset are done. This doesn't mean that development on exINV is finished, but future updates will depend on the feedback I receive and related requests. Are you planning to add gamemaker studio 2 support? Awesome asset by the way! I'm trying to figure out what the best way of just using the inventory for now. At game launch I want it hidden, and when I want to show the inventory I would press a button like "I". I see the code in room start, and I just commented everything but the inventory. How would I do this the right way? @hlr It's quite easy actually if you start from the provided example. All you have to do is destroy the panel instance for the inventory. This does NOT delete the inventory, only its representation (and it's efficient since it's not just hidden). When you want to display it again, you just create a new panel. This is already in the example and used when loading inventories from file, the old one is deleted and a new panel created. Hello, your inventory work in Game Maker studio 2? Version 1.3 is available on the marketplace! This version includes a Game Maker Studio 2 version, a couple of new functions to test the outcome of inserting items in the inventory without actually adding them, a few updates to the example project, and a new documentation. See the open post for more info. Thanks for the new update Catan Looks great! Will you add an extra example using tab buttons to optionally switch between additional inventories using the new show/hide in the asset project? What do you mean by tab buttons exactly? The process to show / hide inventory panels is always the same, if you need a specific logic like having only one inventory panel open at a time, it should be quite easy to do. You just need to call inv_panel_hide(obj_inv_panel) to close all active panels, and inv_panel_show(...) on the specific inventory, every time a tab is pressed. I don't think this needs an example, if that's what you mean, because that's exactly what the demo does with respect to the chest and the equipment inventory (one closes the other). Right now I'm focusing on a few changes related to unique items, since in some specific cases the current system can be a bit of a burden to manage. Here is an example of tab buttons on inventory panel to switch and unlock new inventories mentioned in my previous comment. Button 1 and 2 on the right are different inventory panels and the locks are expanded unlockable inventories. Also, how do we define one inventory panel for just crafting items. I think that as of now, tabbed panels like those should be separate inventories, switched on and off on demand. It should not be too difficult to add some logic that places items inside the next available inventory if one of those is full. Could be a nice feature to add to a new release though! exINV has been updated to version 1.4 ! Please refer to the main post for a major list of changes. While in terms of major functionalities and structure not much changed from the previous version, almost everything has been refactored and touched in some way. Moreover, the introduction of tags changed the output of the ex_inv_write functionality and inventory format, as well as how individual attributes are assigned to inventory items (you can no longer change the base attributes directly). For these reasons, I strongly suggest not to upgrade to 1.4 in ongoing projects, unless you are ready to refactor quite a lot of code. Version 1.3 is still stable and has no known issues so far. Individual attributes - In version 1.3, in order for items to hold individual attributes, those had to be marked as unique. Moreover, the items base attributes could be changed. This approach is not only confusing, but also inconvenient to use. In 1.4, base attributes can no longer be changed, you can instead apply tags to you items (tags are essentialy a ds_map holding key - value pairs). Tags help keeping individual attributes separated from base attributes, and are easier to manage. For any kind of problem or feedback do not hesitate to drop me an email. Version 1.4.1 is available in the marketplace. This version fixes a problem with a variable being referenced as an instance variable instead of a local one, and allows tags to be assigned to items directly at creation, in ex_inv_item_add and ex_inv_item_test. Quick update: there's a problem with the function ex_inv_item_set, where the last argument is supposed to be optional, but causes an error if omitted. EXinv for game maker studio 2 has already been updated in the marketplace. The fix for studio 1 will be uploaded shortly. When upgrading you just need to replace the ex_inv_item_set script. Hello, for start thank you for this perfect inventory system. I just wanted to know if it exist an easy way to check if we have a weapon equiped in the inv_equipement. Sry for my bad english, hope you understand. It should be fairly easy. First of all, you'll need a setup where you know exactly which slot out of the ones in inv_equipment represents the left hand. Let's say it's slot 2 (you should consider labeling the slots using an enum, but let's keep it simple for this example). So nice. I have gms2. I will wait thank u very much. Version 1.5 is ready to be downloaded, check the open post for a list of changes. Like the last update, due to some refactoring I advise against updating the asset in projects already integrated with previous versions, unless you are prepared to refactor some code. With the release of version 1.5, due to the sunset of GameMaker Studio 1 getting close, I decided to focus my efforts mainly on updating the GameMaker Studio 2 version. This was a tough decision for me, but I can no longer afford to maintain and update what in time become two similar but independent codebases. Especially with this update, I refactored most of the code behind the curtains to take better advantage of new GML features like ternary operators and layer based instance creation, making the gap between the two versions even bigger. Version 1.4 is still a stable and mature asset, and I will definitely keep it available, as well as its documentation and support, as long as it is reasonably possible. Hello thanks for the update, its possible to have a list of all modified file ? Because i have work alot on the previous version and i dont want to rebuild evrything. And can i suggest u something like move inventory panel while clicked and a cross to close panel. Because ur system look optimized for 2d platformer and a lot of people use topdown, and more example like toolbar item use, equipement item use. The reason I don't suggest upgrading exINV on existing projects, is mainly because the provided objects are meant to be used as a solid foundation for you to work on, or at the very least be extended by using inheritance, because I can't know in advance how you want your UI to behave or look. If you are already using exINV 1.4, chances are that you built a lot of stuff on top of that, and I simply have no way to provide an easy upgrade process for this. If you REALLY want to access the few new functions, you could try updating just the core scripts, but you'll still have to update your objects code to account for some of the stuff that changed. If that's the way you want to follow, contact me in private so I can guide you. About moving the panels with the mouse: i think that's outside of the scope of the asset. It should be fairly easy to implement yourself since slots are already set to follow the panel, but there's no single nor simple solution to manage object overlapping, it really depends on your project specifics. Is there a way to buy this asset outside of the marketplace? It's a very real possibility that I'm just missing something here, but taking all of the ex folder scripts, objects, etc. as stated in the documentation guide seems to amount into a considerably buggy process that I cannot even begin to understand. My game project is not very far along, so there's very little going on with it at its core. I grabbed exINV (for GMS2) because the Installation Guide seemed fairly straightforward. Bafflingly, my game crashes for a seemingly unending number of reasons whenever I try to run it with exINV installed and the very first step of the Installation Guide taken. I'm finding issues with variables not being created before being read, I'm having issues with ds_grids not existing. I have no idea how to fix any of it or what is even going on. So, right away, it's safe to assume the .csv files aren't in my project. But, they are. I put them in the Included Files section in an ex folder, just like the exINV demo project, so what gives? Why can it not find them? I can absolutely see that this is just me, judging by the lack of other people having similar issues in this thread, so I accept that it's most likely not an issue with the asset or the developer, but some help would be nice in trying to figure this out. Hi! I'm sorry you are encountering problems importing the resources successfully into your project, unfortunately I can't find a better way to improve this process, but I'm definitely open to suggestions. You have to provide the full path to the csv. EDIT: I just realized that the documentation doesn't consider the files to be in a subfolder, which can be misleading and is probably why you are struggling with this. I already corrected the docs accordingly. Thanks. That's exactly what it was. I've never messed with databases before, so I didn't know if it being in a folder would've been a big deal - turns out that it was. I saw the Documentation edit and corrected my code according, I'm happy to say that now works. However, I'm now running into another issue, or perhaps it's more of a misunderstanding as to how this program works. Your Documentation suggests taking a heavy look at obj_inv_controller and essentially how the demo manages to display the inventory as a whole. This feels like sound advice, so I took what seemed to be the necessary objects and placed them into my project from the demo directly - just so I could mess with some things here and there to really get a good grip as to how this system works. global variable name 'inv_equipment' index (100056) not set before reading it. it all seems like everything obj_inv_rm_controller has is 100% necessary and non-optional in order for obj_inv_controller to function. Including having the inventory open when the game is loaded. I apologize if this feels very silly to you, but I really just wanted to use the demo files and work backwards - removing things, see how they work, and ultimately mold the code to what I'm trying to accomplish - but I hit a wall when I try to understand how the code works and it seems like the code requires the inventory to be open at first in order to initialize properly, and even having code to close the inventory immediately after doesn't resolve anything. More testing makes me think that the inventory automatically opens whenever I change rooms. to create some fresh inventories for the player. However, if I remove the objects persistence, I run into issues with undefined variables whenever I try to open the inventory, so the object needs to be persistent, but I seriously cannot figure out why. The code makes sense to me - it defines these missing variables and that should be the end of it, but it's like the creation of these variables abruptly gets lost as soon as the room changes. I have this object placed in an init room, which then moves the player off to another room once finished. I'm trying to go by your demo code as an example of good practices when using your asset, so I'm just trying to figure out how that code works to better understand it as a whole. The reason i "suggest" looking at obj_inv_controller is that every game has different inventory has different requirements and needs to be created / displayed / destroyed based on your needs, it can't be set in stone. just creates the inventory in memory, it doesn't actually show anything, so you should definitely not comment that out if you want everything else to work properly. You can of course remove that if you implement your own logic, but the demo code in obj_inv_controller assumes that when you are in the game room, the player inventories exist (even if they are not displayed or empty). - You have to think of inventories as data structures (ds_lists, ds_grids, etc...). Like data structures, when created they hold data in memory, and it's kept in memory until you explicitly destroy it. Changing rooms does nothing to your inventory data, it will still be there. As data structures, losing every variable referencing to your inventory will cause the data to stay in memory as long as the program runs and can no longer be accessed, causing possibly memory leaks. - Due to the above, you have to make sure you are not creating your inventories from scratch every time you change room. If you have already created your player inventories somewhere, you just have to reuse / reopen them. This is why you run into problems when making obj_inv_rm_controller persistent, since you are in fact creating NEW inventories every time the room changes, which is totally wrong. - As an example, if you wanted to add a "second stage" room to the demo, all you have to do is create a new room and put obj_inv_controller inside (but not obj_inv_rm_controller). Add the two empty instance layers used by obj_inv_controller to display the inventories and you’re done. You'll see that your inventory is preserved after the room change (although you'll probably need to reopen it by pressing "I"). Thank you for being patient and informative. I realize I'm being "that guy" right now, and I appreciate you trying to help most definitely. One thing I wanted to say though was that I tried only commenting out what you said, the result was that the variables could not be found because they were not defined. I never commented out the code for creating the inventories. As I said before, I see that it's creating the variables, but it's almost like when the player goes into a new room, those variables are suddenly no longer defined, which doesn't make any sense. Can't really tell what's happening, I just tried that in the demo project and commenting out those two lines works, as well as using the inventories in a new room. Make sure you are not trying to open the inventories before they are defined (consider that obj_inv_rm_controller creates them in the room start event, which executes AFTER the create event of every other instance), and that you didn't inadvertently comment out some relevant code in event_user_0 of obj_inv_controller. EDIT: one thing to note is that inventories related to event_user(INV_CONTROLLER_EVENTS.open_static_inventories); in the demo do not have a key that opens them (since they open inventories that are always on screen). This includes the mouse interaction (since the mouse is an inventory too). Ahh, that's what I was overlooking. I have a tendency to forget that the Create event takes such precedence and it was exactly what the problem was. That solves it, then. Sorry about all that - in that case it really didn't have anything to do with your asset. Hey @Catan, I was working with your asset some more and looked through the documentation. I've learned how to do quite a bit of things with the asset, but one thing that eludes me is how to go about having the objects be drawn with Draw GUI. The big thing is that I'm not even sure where the drawing actually happens to begin with. I tried to figure this out on my own by going through the scripts and checking through how you did it in the demo, but can't seem to quite grasp how it all works internally. It's not to say I'm entirely clueless, plenty of things in your scripts do make sense and I've managed to make some adjustments to better suit what I'm trying to accomplish in my game without a hitch, but the drawing is hanging me up more than I thought it would, so I figured I'd go ahead and reach out to you here. For instance, in your documentation it says to use ex_ui_panel_show_layer to draw the inventory, but I don't actually see this used anywhere in the demo. It makes me wonder how the demo example is doing it. Thanks for reading, and I apologize in advance if this all seems rather annoying. By the way, I do plan on creating an inventory "from scratch", so-to-speak, using what the Documentation teaches. I'm just trying to fully understand the intricacies of the demo example first, as the Documentation suggests that I take a good hard look at some of the code within, such as obj_inv_controller. No worries, I understand that this is not the easiest system to grasp at first, but that's because I wanted it to be as flexible as possible. 1. When you open or close a panel using ex_ui_panel_show_layer / ex_ui_panel_hide (those are used in obj_inv_controller in the toggle UI events), you may expect the inventory to be hidden / displayed using "visible" or a draw condition, but it's not. I'm actually creating / destroying the panel and its slot instances every time. It's not a "draw" operation. 2. The sprite for the slots is set in obj_inv_slot -> user event 1. This event is automatically called every time the inventory slot changes and needs to be updated. The actual draw happens in the draw event. It should not be too difficult to convert the above from regular draw to draw gui, but you'll have to keep in mind that to interact with the inventory using the mouse the slot and panel objects need to be at the right position relative to the view in any case. If the GUI resolution is different than the game resolution though, things get a lot more complicated, but that has not much to do with the inventory system itself, there are a few resources out there showing how to design objects you can interact with in a case like this. I read all what you said, but I did want to throw out there that I tried changing all of the Draw events in your codes to be Draw GUI instead and ended up getting some weird situations where the inventory was being drawn with Draw and Draw GUI simultaneously (or that's what it seemed like), and in one case the Draw GUI was being drawn twice on two seperate Y axis locations. That's why I said I couldn't quite figure out how the objects were being drawn, because simply changing them over to Draw GUI resulted in a considerably buggy output. Understanding that hide/show is actually destroy/create does help things a bit. You can't expect a transition from Draw to Draw GUI to work without actually changing anything (under any circumstance, not just in this asset). The minimum you are required to change is the x,y coordinates where the stuff is drawn, since they are no longer relative to the room but to the window instead. I feel like at this point I might be hassling you with general knowledge questions that aren't specific to your asset per se. I'm going to confess my lack of knowledge on some of the coding you've used and focus on other things on my project for now until I can better learn GML. Thanks for your help, I'll probably stop by in a couple weeks or so when I'm able to better understand. Trying to use this system in a terraria way at the moment. As in, what ever slot is highlighted in our tool bar is what our left click or right click will use. I contacted the publisher early today and in my time working with the code have had some successes. ... I have gotten to the point where I can middle mouse button a tool bared item and make an effect happen. But cant make the jump yet from using the tool bar or even equipped item (like in the sword slot lets say) to what happens when we want an effect or attack for our toon or what ever. I think what I will need to do is have an event that calls on the slot number (or what slot we have highlighted), checks the item ID and based on the ID runs a code ... Such as, we know for left click we have a sword in our weapon slot so when I left click the player object checks the ID and uses what ever weapon we have. But when we right click we check to see what we have highlighted in our tool bar, Oh was it a healing potion, run the script that heals us. ... But HOW to do that I have no idea where to start hehe. Just wanted to know if anyone had figures this out? I am super noob at coding just fyi so I may have a hard time understand. It shouldn’t be too difficult to implement. First of all, you need to add to each item the information about the script that needs to be run when used. You can do that by writing the script name in the database (the csv files) in a column of type “asset”. Then you need to work on your hotbar panel. By default, exinv treats right click as “take/release half of the stack”, so you need to override that event in the hotbar object, and instead just get the item script from the item database and execute it with script_execute. That’s the general idea, if you have any doubt about the specifics just ask. Thank you Catan. I'm pretty sure its that I have had a long day and I have only spent maybe two hours or so looking at this but I will ask about specifics if you don't mind. So first off I have gone in to the Datafiles/ex and opened the csv file for potions. I have added a 8th column and called it an asset and for potion_health have told it to use "scr_healing". At the moment the code for that is empty but I'll do something with it like close the game or such if it works, its just to test so I can understand how to use this. Now I have gone in to GMS and have opened the "obj_inv_panel_toolbar" and I see the left click, override ... and I am drawing a blank at this point... I know we will be using a if mouse_check_button(mb_left) (or right) then checking the item in the slot we are currently selected and telling it to run its code. But I have no idea how. I feel like I also may need to add some variables before hand to get this to come together. So the specifics of this are... IN our obj inv panel toolbar, left click event. How do we check selected panel, what item we have in that panel and run its code. Again- I know I'm a noob so I am sure this is not that difficult but its a bit over my head. Thank you again for your time Catan. First let me clarify something I probably got wrong from your first post: do you want an item to be used when clicked with right mouse button, or do you simply want to use the selected it when the right button is pressed anywhere on the screen? When I was writing down the ideas on paper my thought was that we would have a hot bar at the bottom of the screen and based on what I had selected (What was highlighted) when we would left click our player object would do an action based on the item. ... So ... lets say we had a sword in slot one and a potion of cold in slot two (looking at the tool bar from left to right). Now our player object needs to break down some wood door. We click 1 and we now highlight the first slot where we had our sword. Now when I left click on the screen I'll run a sword animation and spawn a hit block for the sword in the direction of the mouse. ... Now that the door is gone we have some water in the next room and I want to freeze it to walk across. So I hit the number 2 and this brings us to our second slot that has the potion of cold. Now when I click on the screen we throw the potion something like Mario would throw a boom or link would throw a pot. It goes in the direction of the mouse (from the player object) and breaks after an alarm timer and freezes water blocks. ... now we can walk over it. So- In my original plan I did not have a weapon slot but you have something like that in your exINV. Not sure if I will use that or not but if I did, Left click would always check and use the weapon slot and make a move based on player object and mouse position, right click would always check what slot in the tool bar was highlighted, what the item is in that slot and run a script based on that item. So our hero here would have had a sword and just left clicked to break down the wooden door, seen the water in the next room and moved the highlight to the cold potion and right clicked towards the water to throw it and freeze it. Thinking about it now with a little more sleep I think that the player object may need a left and right click check that calls for whats in our weapon slot and our selected slot for the tool bar and runs its code. If that's the case, you are right, you probably want something like and equipment inventory with named slots you can refer to. The sample project shows just that. The only thing you'll need to consider is differentiating a left/right click used for attacking / using an item from a click used for moving stuff around in your inventory (or using any other UI element).